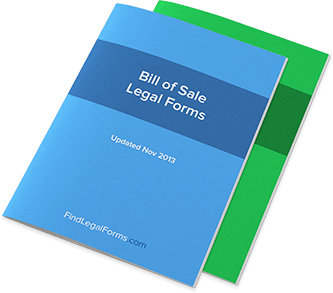 Canada Bill of Sale Forms. For Immediate Use. Bill of Sale - "As-Is" (Canada) "As-Is" Bill of Sale transfers title to goods without warranties from a seller to a buyer. Bill of Sale - General with Encumbrances (Canada) Bill of sale of goods transferring title to goods from a seller of goods to a buyer subject to an encumbrance which is assumed by the buyer. Bill of Sale - Warranty (Canada) Bill of Sale transfers title to goods with warranties from a seller to a buyer. Bill of Sale for Motor Vehicle - Warranty (Canada) Bill of sale of goods transferring title to a motor vehicle from the seller to the buyer free and clear of all encumbrances. Bird Bill of Sale (Canada) This Bird Bill of Sale is designed for use in Canada. This form is available for immediate download. Cat Bill of Sale (Canada) This Cat Bill of Sale is created for use in Canada. This form is available for immediate download. Dog Bill of Sale (Canada) This Dog Bill of Sale is created for use in Canada. This form is available for immediate download. Exotic Animal Bill of Sale (Canada) This Exotic Animal Bill of Sale is designed for use in Canada. This form is available for immediate download. Horse Bill of Sale (Canada) This Horse Bill of Sale is created for use in Canada. This form is available for immediate download. Mobile Home Bill of Sale (Canada) Form to use when buying or selling a mobile home in Canada. The mobile home can be sold "as is" or with a warranty. Motor Vehicle Bill of Sale (Canada) Motor Vehicle Bill of Sale transfers title to a vehicle from a seller to a buyer free and clear of all encumbrances. Motorcycle As Is Bill of Sale (Canada) This Motorcycle "As Is" Bill of Sale and Odometer Disclosure Statement is designed for use in Canada. This form is available for immediate download. Motorcycle Bill of Sale (Canada) This Motorcycle Bill of Sale and Odometer Disclosure Statement is designed for use in Canada. This form is available for immediate download.